But some of us don't care about sports. 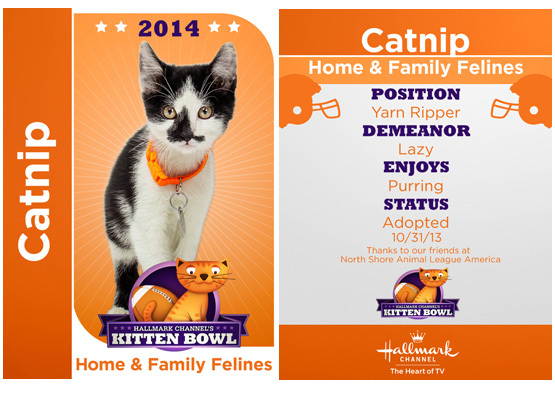 We only care about cute things and have finally been rewarded with THE KITTEN BOWL!!! 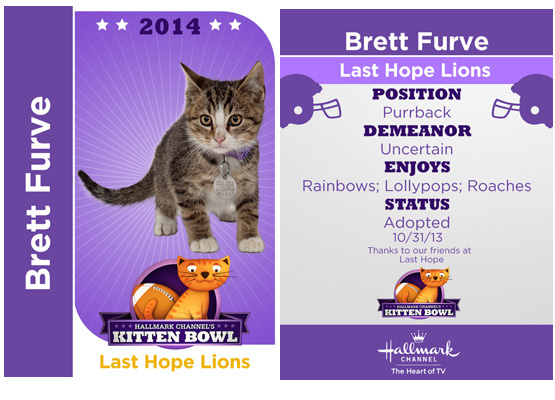 Airing at 12:00 noon/11am Central on the Hallmark Channel, the Kitten Bowl has four adorably furry teams competing on an obstacle course of hurdles, tunnels, hoops, jumps, weave poles, lasers, lures and toys on strings! 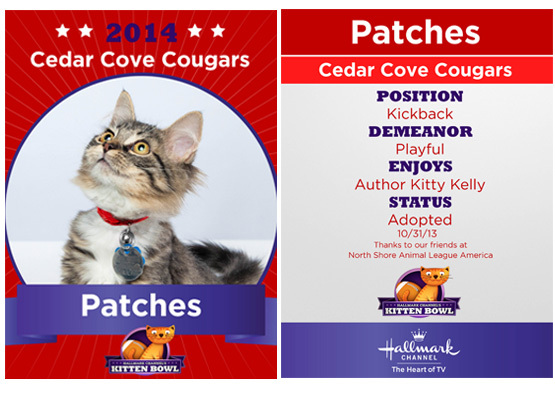 Check out the lineup and pick your favorite kitten now! We're loving Feline Manning, Troy Paw-Lamalau, Ferrell Owens, and Catnip. Plus, there's a live Kitten Cam feed on the website so you don't have to miss a minute of feline fun! Meow. Best of all, each kitten is guaranteed to be adopted into a loving home (no, we didn't adopt ALL of them, as much as we'd like to...).